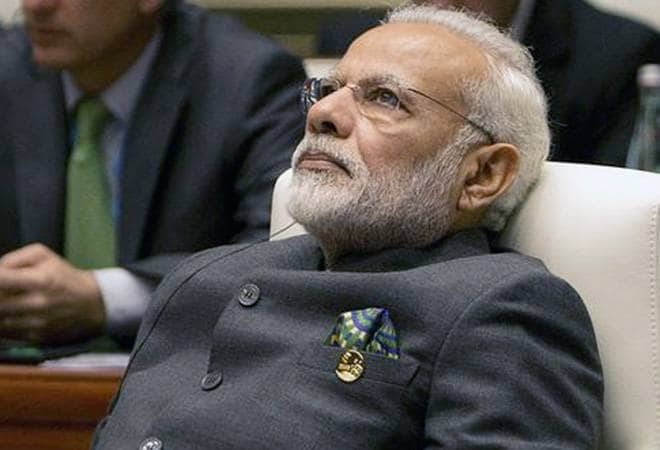 To accompany PM Modi in the 'unknowns' list' are Japanese Prime Minister Shinzo Abe (64 per cent don't know who is the leader of the world's third largest economy) and Brazilian President Michel Temer (90 per cent). Prime Minister Narendra Modi's charismatic personality is not a mystery for Indians. Being the most popular leader of the world's largest democracy, PM Modi has always been a crowd magnet overseas as well. That his political rallies in India are houseful all the time is no secret, but he has time and again proved -- his roaring rallies in Madison Square Garden in New York and at the Wembley Stadium in London -- that his popularity has no match in the countries he visits. But, surprisingly, 75 per cent of Canadians don't know who Prime Minister Modi is, notwithstanding the fact that the country is home to a large number of Indians. According to a survey conducted by Canada's Angus Reid Institute (ARI), two third of Canadians are unfamiliar with Prime Minister Narendra Modi, who won the prestigious Time magazine's online reader's poll for TIME Person of the Year, defeating the likes of Barack Obama, Donald Trump, and Mark Zuckerberg in 2016. A miniscule number of respondents who knew him described him as strong, influential and strategic. The survey was conducted before the G7 nations' meet in Charlevoix, Quebec, this week. The G7 countries comprise Canada, France, Germany, Italy, Japan, the United Kingdom, and the United States. To accompany PM Modi in the 'unknowns' list' are Japanese Prime Minister Shinzo Abe (64 per cent don't know who is the leader of the world's third largest economy) and Brazilian President Michel Temer (90 per cent). However, the percentage saying they are familiar with Shinzo Abe has increased slightly since 2014, when nearly seven-in-ten (69 per cent) were unaware of the Japanese PM. The report says PM Modi's popularity remains the same as it was in its 2014 survey. "This is perhaps more surprising in 2018 than it was four years ago. Since then, Modi had his first state visit to Canada in 2015, and visited with Prime Minister Justin Trudeau during a headline grabbing trip by the Canadian leader earlier this year," says the report. ARI's executive director Shachi Kurl indicated that a major reason Modi is not a popular figure in Canada is because he isn't an 'English-speaking fixture' in the Western media. "Nor does he attract a lot of notoriety in the Western and European press. Canadians recognise the relationship it has with India, via the diaspora, and through business ties, but Modi is not a big personality or celebrity in Canada the way he is at home," Kurl told Hindustan Times. As was the case in 2014, respondents were asked to select up to six words from a list of 24 descriptors to ascribe to the 10 world leaders asked about in the survey. Canada's very own young leader, Prime Minister Justin Trudeau, has been described as 'charismatic' by 45 per cent of the respondents, while 31 per cent think he's 'weak'. Canadians described the leader of their neighbouring country, US President Donald Trump, in overwhelmingly negative terms like 'arrogant' (74 per cent), liar (62 per cent), 'bully' (61 per cent), 'dishonest' (56 per cent), and 'corrupt' (48 per cent). In contrast, the words used for his predecessor Barack Obama in 2014 were all positive like 'influential' (43 per cent), 'charismatic' (43 per cent), 'compassionate' (33 per cent), 'inspiring' (32 per cent) and 'credible' (29 per cent). An overwhelming majority (around 63 per cent) people called Russian President Vladimir Putin as 'corrupt'. The percentage of Canadians identifying German Chancellor Angela Merkel as 'strong' has risen by 9 percentage points (42 per cent) since the 2014 survey. Around 37 per cent called her 'influential', while 28 per cent called a 'credible' leader'. Chinese President Xi Jinping is also an obscure figure for 45 per cent of the Canadians, while 27 per cent of them also think he's 'influential'. Twenty one per cent said British Prime Minister Theresa May is a 'strong' leader, and the same percentage of people used the word 'charismatic' for French Prime Minister Emmanuel Macron.